– Gates open at 5:30 p.m. The Rev. Franklin Graham is scheduled to speak Thursday evening at the Spokane County Fair and Expo Center as part of his “Decision America” tour across the Pacific Northwest, in which he is urging people to vote in the midterm elections. Graham is the 66-year-old son of conservative evangelist Billy Graham, who died in February at age 99. At Thursday’s fairgrounds appearance, he will be joined by Christian singer-songwriter Jeremy Camp. Gates will open at 5:30 p.m. for the event, which is free and open to the public, said Erin Gurtel, the fairgrounds’ sales and marketing manager. The event will begin at 7:30 p.m. There will be no seating, so attendees are asked to bring blankets and lawn chairs. Graham’s appearance in Spokane will follow a Tuesday stop in Richland. He also has visits scheduled in Tacoma and Monroe, Washington. The tour builds on his 2016 tour that included stops in all 50 states prior to the presidential election. 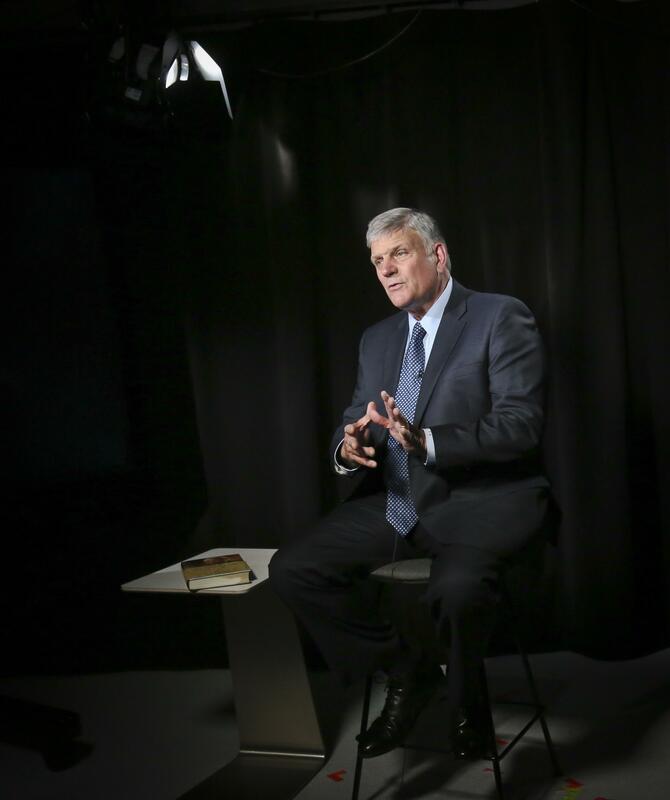 Since his father handed him the reins of the Billy Graham Evangelistic Association in 2001, Franklin Graham has faced criticism – including by some fellow evangelicals – that he has become too involved in politics. Franklin Graham last held a major event in Spokane in August 2002, exactly 20 years after his father staged an eight-day “crusade” in Spokane that drew more than 223,500 people – a number higher than the city’s population. During the younger Graham’s visit, he was conferred with an honorary doctorate of divinity by Spokane’s Whitworth College (now Whitworth University). During his last stop in Canby, Oregon, near Portland, which reportedly drew more than 12,000 people on Sunday, Graham said he doesn’t identify with either political party and denied he has promoted President Donald Trump, though he said Trump’s agenda has been popular among evangelical Christians. “I don’t campaign for Trump. I didn’t in the last election,” Graham said, according to the Canby Herald. “I was asked to campaign. I said, ‘No, I’m not going to do it.’ So, people think just because I prayed at the inauguration that somehow I was campaigning for him. I wasn’t. Asked to elaborate by a reporter for KOIN, an ABC affiliate, Graham pointed to his experience at Saturday’s violent rally in downtown Portland, where members of the far-right group Patriot Prayer clashed with counterprotesters. “I was downtown yesterday where they had that prayer rally, and I was in the middle of it,” Graham said. “So I’m just listening, right. I’ve got my jogging shirt on so nobody knows who I am. But I’m listening to people yell at both sides, both sides yelling at each other, screaming, and a lot of … I’m not going to say what they were saying. Published: Aug. 6, 2018, 7:50 p.m. Updated: Aug. 6, 2018, 10:27 p.m.